Poor real life performance of Samsung 950 Pro? When I friend was looking for an SSD upgrade, I took advantage of it and sold my 'pedestrian' SATA SSD and replaced it with Samsung 950Pro connected via an adapter in a PCIEx16 slot. It took some wrangling but the drive is bootable on a Z87 board and is generally working fine. I ran some benchmark with Crystal DIsk Mark etc and they are more or less in line with reviews. I wanted to unzip to the same folder and saw speed around 2-3MB/s, not exactly what I expected. The same goes for very small files - something that I'd expect to be instant. 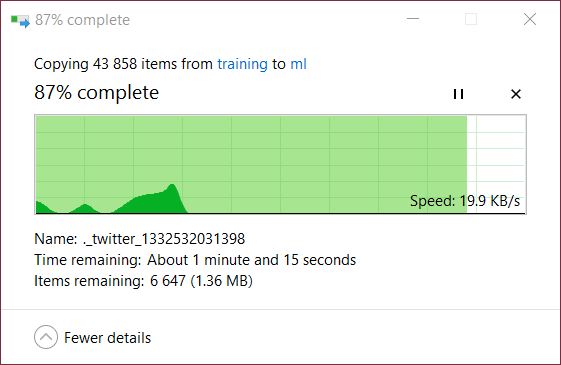 I check the activity monitor and CPU was hardly used, so clearly it is the SSD that's bottlenecking somehow? Finally I have 24GB RAM so I would expect Windows 10 to take advantage of that to cache recent files in RAM (such as the one I just downloaded)? Is there a way to investigate what's going on? I should probably add that while there is no radiator, the SSD is pretty well ventillated and running benchmark for longer indicates that there is no throttling even under have load for at least 10 minutes. As you can see I have spare disks attached so I could create an image and perhaps reformat with a different stripe size perhaps? Smells like you're limited somewhere else in the I/O or OS stack for accessing the disk, rather than the disk itself-- since the disk does benchmark just fine, I suspect everything is kosher there. Yup I get instant unzip on the other drive, actually even the HDD is faster, I'll try and get some screenshots after the weekend. Hmm. Not that this is easy, but tried the 950 Pro in a more modern 100-series based motherboard to see if the same issue persists? 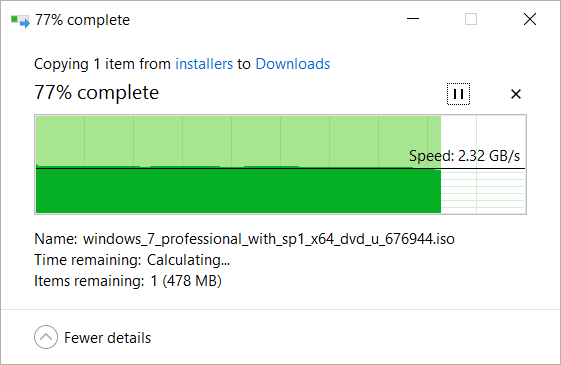 I installed 7-zip and that gives me about 100MB/s unrar speed, I will check zip some other time. Ah, the ol' improper testing comparison. Glad you figured it out!